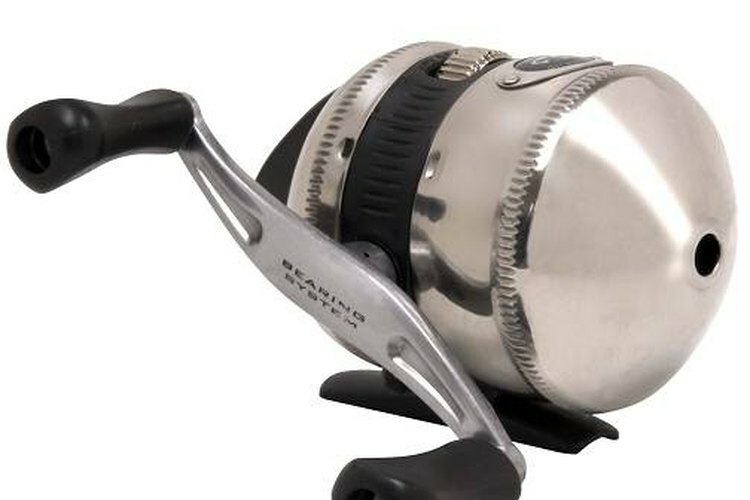 With more than 40 million Zebco 33's sold since the first one left the factory in 1954, this excellent spincasting reel is still a best choice for the beginning fisherman. Its many variations have lined the shores of countless lakes, streams and farm ponds, but it began as an inspiration in a grocery store in Roten, Texas. R.D. Hull, watchmaker and inventor, had tried unsuccessfully to market his first anti-backlash reel, The Lashmaster. He got another idea while watching a strand of packaging twine fall neatly from a spool. R.D. Hull's first reel was a double spool model he modified from a South Bend design. From a small pool of investors he collected $52,500 in start-up funding, dubbed his reel the Lashmaster, and quickly went out of business. Undeterred, he continued his search for the perfect anti-backlash design. With the supermarket twine as inspiration, R.D. built a sample reel and asked his investment team for more money. R.D. 's first spincast reel used a dozen nails to form a hub between two wooden discs. A long bolt through the middle served as a spindle, and a Folgers coffee-can lid fastened to the front wheel provided a handle for reeling in line. The crude working model would cast without backlashing but made a poor impression on R.D. 's former backers. In 1947 they turned him down. But he believed in his concept and continued to look for partners. In 1948, the Zero Hour Bomb Company of Tulsa, Oklahoma, was looking for a new product to sell. Their mainstay since the early 193's had been a time bomb designed to open up failing oil wells. The patent on that product was about to expire. R.D. pitched his new reel design to the troubled company and they cut a deal. The first reel produced by ZHB in 1949 was the Standard. It sported the famous closed-face design that would lead to the 33. Standards and their successors in 1953, the Model 22, were the first reels marketed with the acronym ZEBCO. In 1953, the Zebco 33 spincast reel debuted. The improved design was an immediate success. By 1956, reel manufacturing had become so important to ZHB that it ceased production of oil field materials and changed its name to Zebco. Today's Zebco 33 Authentic is still patterned after the original 33. The simple and rugged reel has ball bearing drive, thumb wheel adjustable drag and double stainless steel covers. A recommended line weight of 10 pounds puts it in the Medium fishing class. Redesigned in 2004, the Zebco 33 Authentic includes an ergonomically correct casting button. Dual ceramic pins improve the line pickup and bearings, drag system and gear train are modernized. An Auto Bait Alert gives audible notice that a fish is tugging the line, and the new 33 carries an extra 45 yards of 10-pound test. Both the 33 Platinum and 33 Gold offer improved performance in the same classic style.